made with gin or vodka and vermouth and low in calories. The Adults begins with a party, and so therefore, martinis. Vodka, vodka, vodka, Emily is always saying. 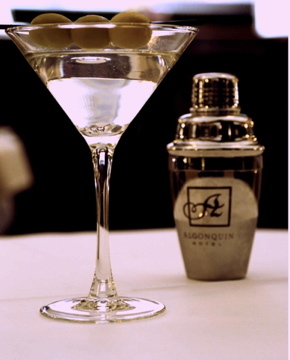 The martini as an upper-crust kind of drink, one that a character in The Adultswould prefer over any other. They love it because it’s a classic, and because it’s low in calories too. Here is a recipe for a Dirty Martini when you and your book club want to party like The Adults (and maybe James Bond). 1. Fill cocktail shaker 3/4 full with ice. Pour in gin or vodka, brine, and vermouth. 2. Shake and strain into chilled martini glass. Drop in olive.